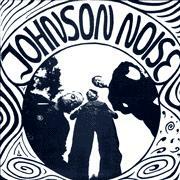 Johnson Noise - "Johnson Noise"
This is the CD release of the very first Nasoni Records release from 1996. It includes 4 bonus tracks as well. This is a prelude to the release of the bands new LP, Undine, later this year on Nasoni. The band is a three piece that remind me of a mixture of Motorhead and The Pink Faries but a bit more psych than either band. The heavy driving sound is quite awesome and they have a real diversity of songs on the CD. While I don't really care much for the vocal delivery, the music makes up for it as there is plenty of jamming on this disc. The opening track, "Motormadness", is very Motorhead inspired but the long psychedelic guitar break is nothing like Motorhead. Next up is "Bad Neighborhood", and this track features a guest keyboard player. The track does not really take off until 4 minutes in and then some burning electric psych guitar is laid down. "Waiting Everywhere For Anybody" starts very slow with some cymbals and feedback, before the bass line sets in and a really phased vocal. "What Is A Lifetime Facing The Existence Of The Earth" is next and one of the new tracks and more melodic but very cool. An excellent cover of "The Watcher" (Hawkwind/Motorhead) is next and the band is pretty faithful to the song at the beginning but mix in a great jam at the end. "Dead End In The Evolution", another new song, has a great driving groove. "Strange Smell", the only short song on the CD at 3 minutes, is another new and more melodic track. Good stuff. "Blind" is a real masterpiece, clocking in at 16 minutes and a really heavy psychedelic freak out. The CD closes with another very cool track which is basically some killer guitar jamming along with a sitar improvisation. If you like great psychedelic guitar like Gary Ramon, check these guys out! What a great find. I can't wait to hear the new release later this year. Brilliant stuff! Nasoni is a great label and I highly recommend all the stuff that I have heard. High quality psychedelic rock for the new century! For more information you can visit the Johnson Noise web site at: http://www.johnson-noise.de.